Fia Seat Protector SP80 Series Custom Fit Seat Covers feature commercial grade, double stitched poly cotton fabric and are engineered for the ultimate in seat protection for heavy commercial use. On vehicle testing ensures an exact fit for your application. Super-Grip slip resistant fastening system makes installation easy, with a quick release belt/buckle system, Velcro and zippers (some applications). 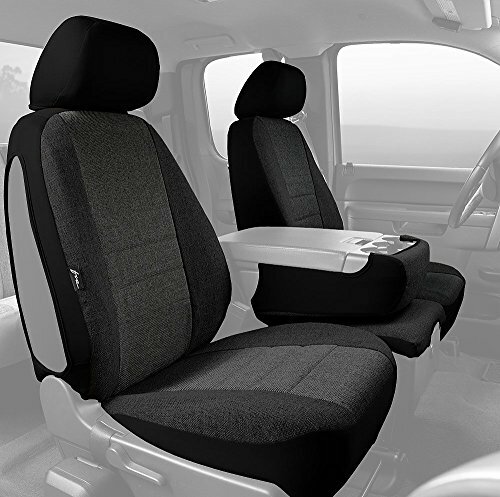 Custom formed seat belt openings, center armrest/console covers, and head rest covers provide the finishing touches for a tailored exact fit for your vehicle. 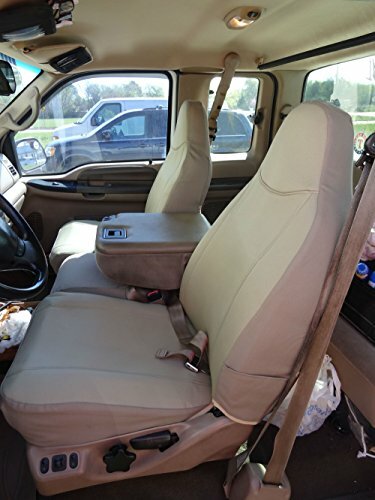 DuraPlus seat covers by CalTrend are custom molded, cut and sewn to custom fit your truck or SUV. The high quality, canvas-like material is not only 100 percent water repellent, mildew resistant and UV treated, but also tear and scuff-resistant. 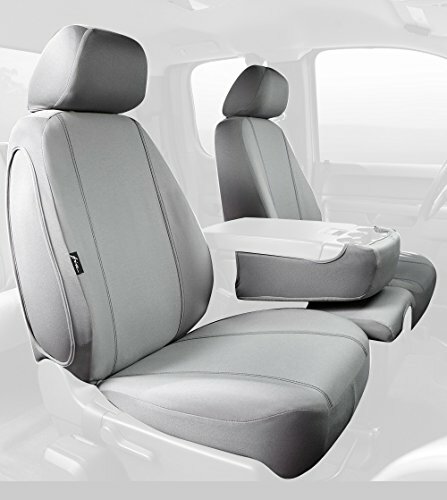 Seat covers have reinforced seams for strength and laminated foam backing for extra comfort. FIA Seat Protector SP80 series custom fit seat covers feature commercial grade, double stitched poly cotton fabric and are engineered for the ultimate in seat protection for heavy commercial use. On vehicle testing ensures an exact fit for your application. FIA's Super-Grip slip resistant fastening system makes installation easy, with a quick release belt/buckle system, velcro and zippers (some applications). 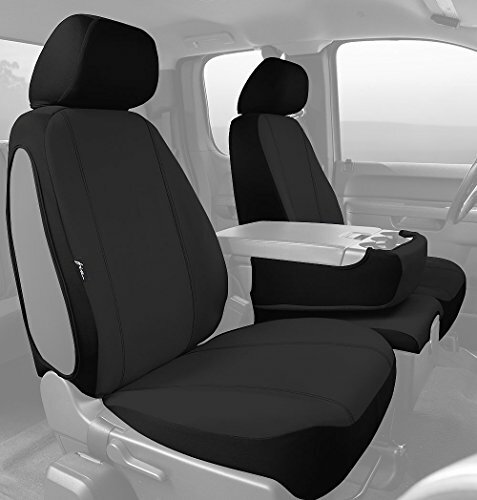 Custom formed seat belt openings, center armrest/console covers and head rest covers provide the finishing touches for a tailored exact fit for your vehicle. 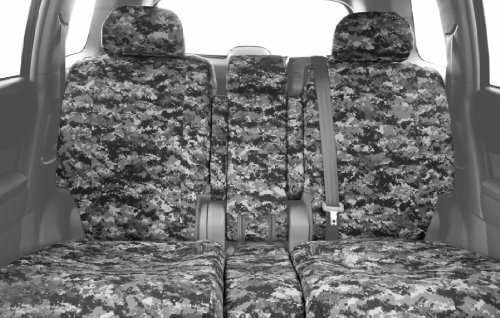 CalTrend camouflage custom seat covers offer your vehicle’s interior high wear and long-lasting protection from your outdoor adventures. 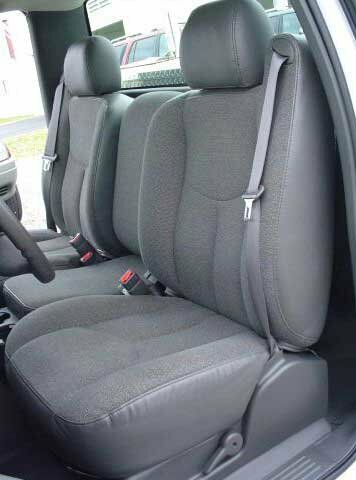 These auto seat covers are treated for heavy duty abrasion and boast a water repellent and UV resistant ruggedness that will keep these seat covers looking new for a very long time to come. 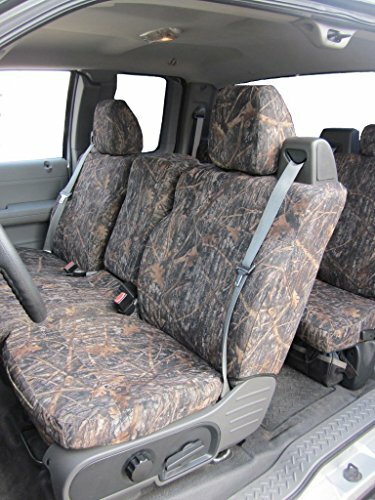 The ultra tough fabric and reinforced seems are a perfect compliment to their suggestively rugged design and a necessity for those who subject their vehicle to the realities of the outdoors. Durafit Seat Covers since 1982. 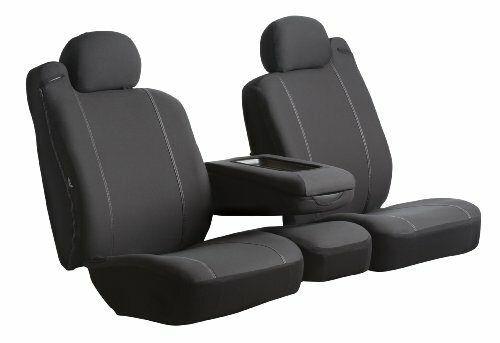 2003-2007 Chevy Silverado and GMC Sierra Work Truck Front 40/20/40 Split Seat With Manual Controls and Without Console. Not for opening console. Fia Oe30 Series Custom Fit Seat Covers feature highly durable, abrasion resistant original equipment standard tweed material. Engineered to meet or exceed vehicle manufacturer standards, the advanced design creates a state-of-the-art interior. On vehicle testing ensures an exact fit for your application. Super-Grip slip resistant fastening system makes installation easy, with a quick release belt/buckle system, Velcro and zippers (some applications). Custom formed seat belt openings, center armrest/console covers and head rest covers provide the finishing touches for the OEM look. Looking for more 20 Front Split Seat similar ideas? Try to explore these searches: La Cucaracha Horn, Ho German Train Car, and Green Aventurine Gemstone Beads. Look at latest related video about 20 Front Split Seat. Shopwizion.com is the smartest way for online shopping: compare prices of leading online shops for best deals around the web. Don't miss TOP 20 Front Split Seat deals, updated daily.